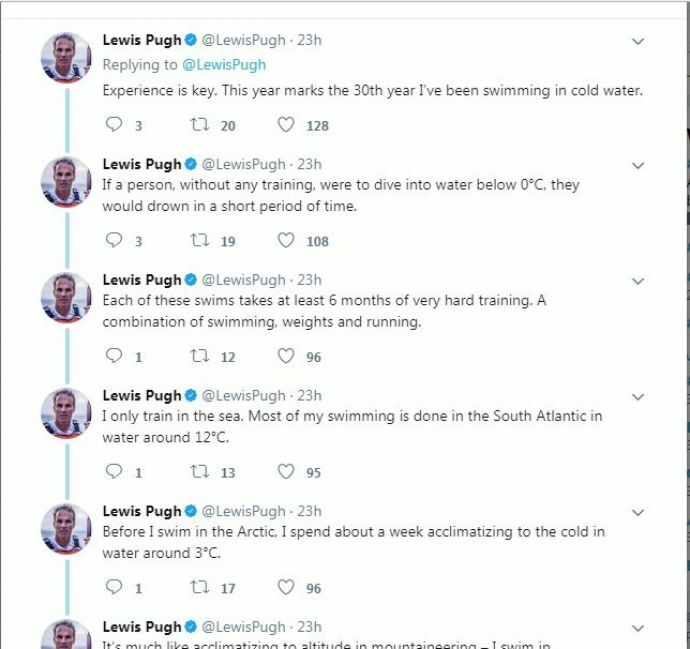 Meet Lewis Pugh, The Man Who Swam In The Icy Arctic Ocean For 22 Minutes! Lewis Pugh's stint of achievement started the age of 17! Fear of deep waters never got me to learn swimming in the first place! The notorious instance of me harassing my coach was another reason too. Never did I look back or get into anything larger than the baby pool. But today, after almost a decade and half later I felt like going back to where I left. Reason? 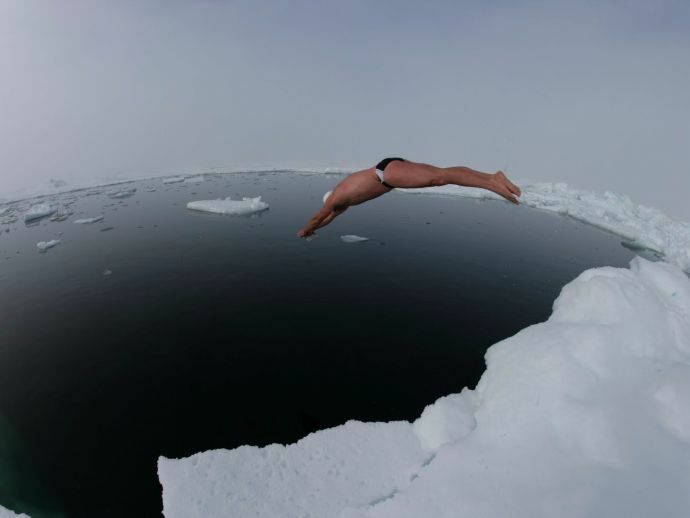 The memoir of a man who swam along the Arctic Ocean. 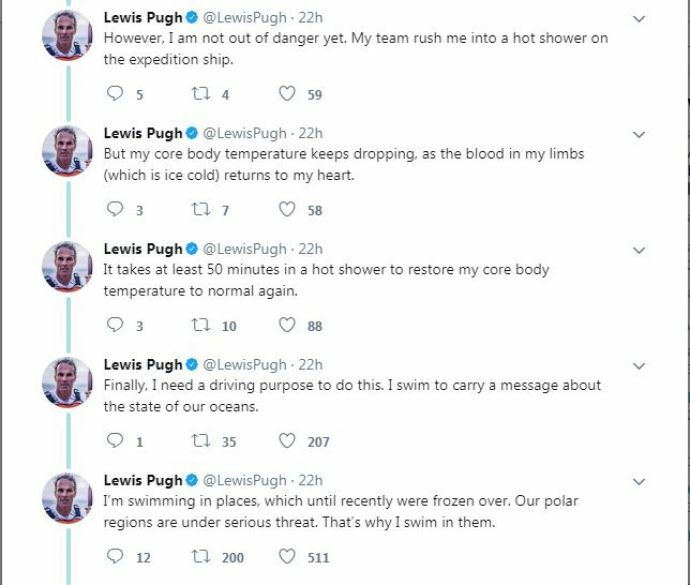 I, like many others was unaware about Lewis Pugh who swam through the polar regions. Of course, there many who came near to achieving this feat and I need to know/write about them too. But I’m sure none of those others have gone about doing this for 30 odd years! 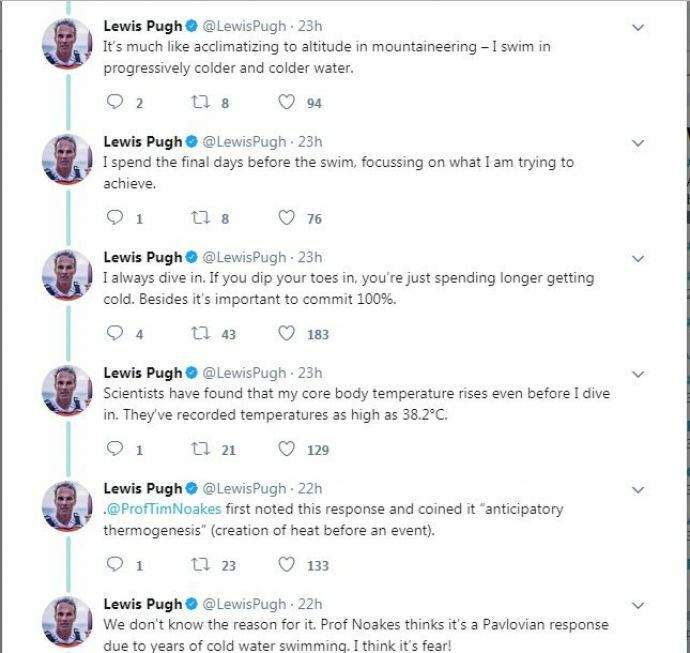 Lewis Pugh, an endurance swimmer and the UN Patron of Oceans started off with his Polar Expedition by swimming the North Pole in 2007 to highlight the melting of Arctic ice. He then took to swimming in the glacial lake of Mount Everest in 2010 to draw attention to the melting of glaciers in the Himalayas. Pugh believes that his expeditions will bring awareness about the endangered water bodies and global warming. 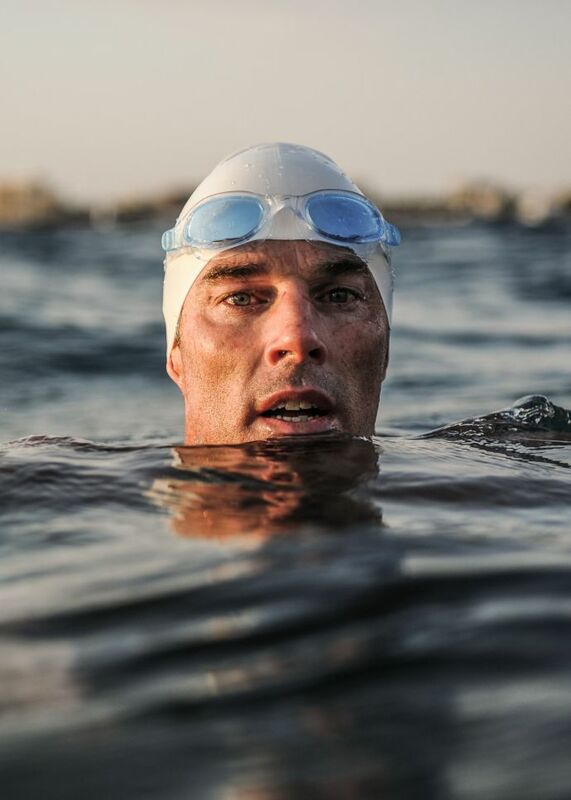 In 2006, Pugh became the 1st person to swim across all five oceans, achieving the Holy Grail of swimming. "The swims were intended to draw attention to the health of the oceans. But I seriously underestimated the urgency of the issue I was swimming for. As the United Nation's Patron of the Oceans, I have given many speeches stressing the need to protect our environment for the sake of our children and grandchildren. I now I realize it’s not about our children. It’s about us. The situation is much worse than I thought. I was shocked by what I saw in the seas, and by what I didn’t see. I saw no sharks, no whales, no dolphins. I saw no fish longer than 30 centimeters (11 inches). The larger ones had all been fished out." 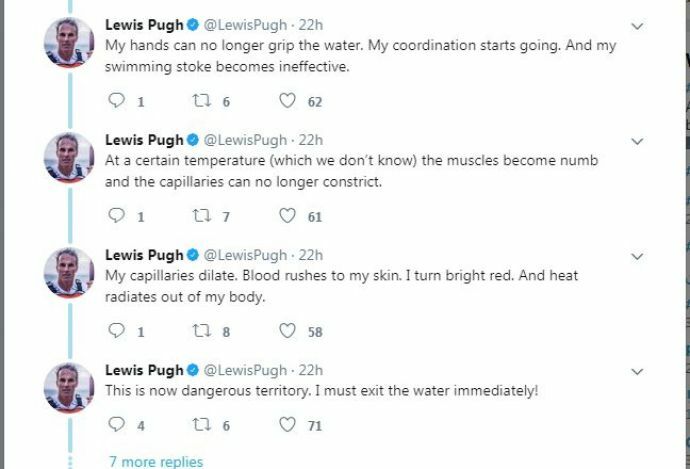 On the 30th of July, 2017, Pugh added another milestone to his water quest. 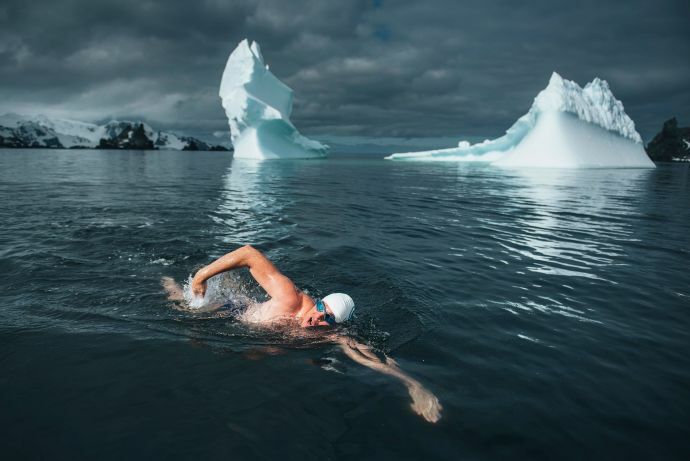 He swam the Arctic seas with the temperature of water being 0.5°C (31°F)! 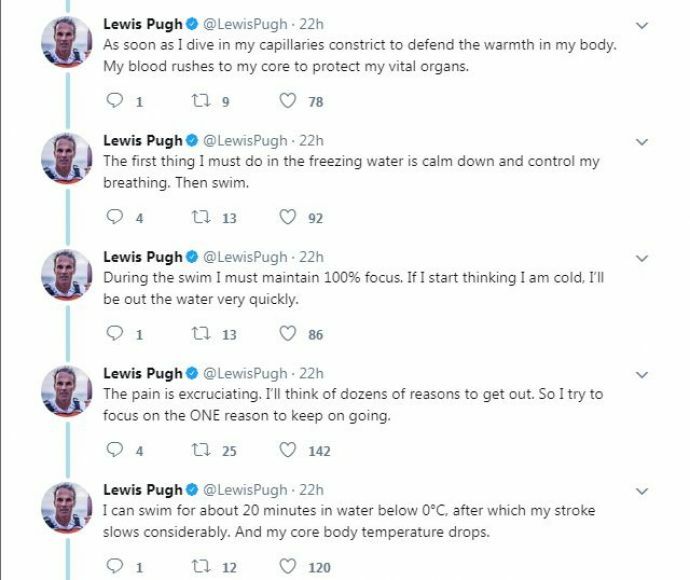 His account of the 22-minute swim (his longest sub-zero swim) will definitely send shivers down your spine and make you rethink what we are actually doing with our lives!